A review of Scotland's mortuary services has concluded that mortuaries must be "respectful and dignified" resting places for the deceased. It was ordered by the Scottish government after a mortuary in Moray was likened to an "old garage". The family of Frank Whyte, who died in May 2016, said they were left distraught by the state of Spynie Mortuary in Elgin. The review investigated standards of mortuary services across NHS boards. Mr Whyte's widow Maryan and the couple's daughters, Sharon Robertson and Natalie Whyte, have welcomed the review's report. They said they would continue to campaign for improvements. Announcing the review in October last year, Public Health Minister Aileen Campbell said the Whyte family's experience would be used to bring "positive change" to mortuary services. Following the publication of the Mortuary Review Group Report, the minister welcomed its findings and its recommendations. She said: "This wouldn't have happened without the Whyte family bravely sharing their painful experience with us, and they continue to play a crucial role as part of the Mortuary Review Group. "The information gathered from each of our NHS boards and other providers has helped identify areas where we need to now focus our efforts to ensure the appropriate standard of service is being provided." Ms Campbell added: "Our vision is for post-mortem examinations to be carried out exclusively in health board facilities, in the appropriate environment, with an agreed protocol for any concerns. "I call on all the agencies involved in this to push this forward and ensure people are getting the service they deserve." The report's executive summary said mortuaries of a "satisfactory quality" must have an environment that is "supportive and comforting" to bereaved relatives during "the distress of attending and identifying the deceased". It also said the sites must be "suitable, safe and healthy" workplaces for the professionals involved in the care of the deceased and the investigation of deaths. 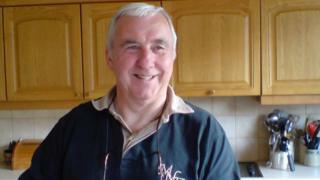 Mr Whyte, from Forres in Moray, died after a boating accident in Findhorn Bay. His body was taken to Spynie Mortuary, which is on the site of a former hospital that closed more than 10 years ago. The mortuary was used by Police Scotland following unexplained or accidental deaths in the area, and as a back-up to the mortuary provision at the town's Dr Gray's hospital. The Whyte family praised the police officers they dealt with, but described the mortuary as being "unkempt" and "rundown" and looked like "an old garage". NHS Grampian apologised to the family about the condition of Spynie Mortuary, which was subsequently closed down. Mrs Whyte told BBC Scotland: "From nobody knowing how many mortuaries there were across Scotland, and nobody knowing who had responsibility for mortuaries either, we have come to this point now where we know the answers to those questions. "And we actually have a framework which will take us into the future and that will seek to ensure that there is dignity and respect for the deceased, compassion for the bereaved and also a decent working environment for the staff and professionals who are involved."